PropertyWala.com has 69 residential lands for sale in Wardha Road area, Nagpur in the range of Rs 4 lakhs to 74.8 lakhs (average rate Rs 11,849/sq. meter). 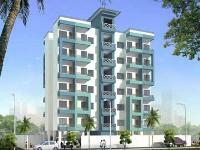 The areas nearby Wardha Road are New Manish Nagar, Ujwal Nagar and Somalwada. Your search returned over 69 results. Consider using the filters below to narrow it down.